Giga Watt, a well-known US Bitcoin mining company, announced its clients on January 16th that its activity had come to an end. The firm was is a bad situation already, after filing for bankruptcy two months ago. The huge drop in value, faced by most of the cryptocurrencies, is beginning to show its negative effects, with businesses operating in the mining field unable to sustain at least a low level of profitability. As the Bitcoin price dropped towards $3,700, miners found themselves in a situation where the price does not even cover the expenses. As a result, some have been turning down their devices, contributing to a drop in the Bitcoin’s overall difficulty. What happens with Giga Watt clients? According to a recent CoinDesk article, a publication, which managed to get access to the letter sent by Giga Watt to its customers, “both access and power to the facilities in which Giga Watt operated had been closed to the company”. Another important aspect was related to customers which have remaining cryptocurrency in their wallets. All customers which have completed KYC (Know Your Customer) will be able to withdraw the tokens until March. The company filed for a Chapter 11 bankruptcy in November 2018 at a court in Washington. According to official documents, Giga Watt owned to its biggest 20 unsecured creditors an estimate of $7 million, which includes $800,000 just for electricity. It is not the only mining company facing serious issues. 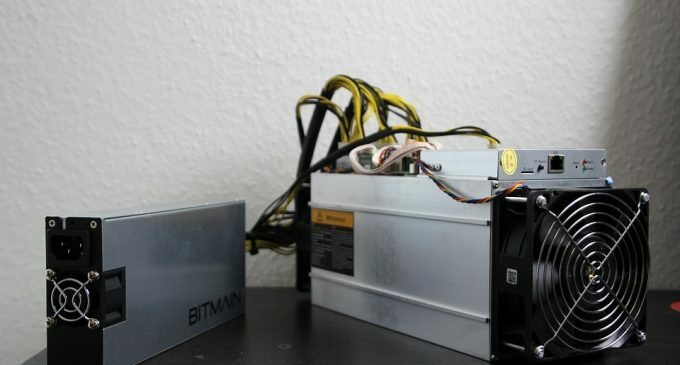 As we have seen in a previous article, Bitmain, a large mining firm operating in China, announced it will cut staff in order to reduce expenses. Although mining costs are considered to be reduced in China, the company shows its activity had been seriously damaged by the low Bitcoin value. At the time of writing, Bitcoin is trading at $3,586 on the Bitstamp exchange, as the buyers were unable to regain ground following a selloff we’ve seen a week ago. The prospects for a strong rebound higher are off the table right now, which leaves other companies like Giga Watt vulnerable in the months ago. Despite the Bitcoin drop, mining companies had continued to operate, storing the mined coins, hoping that at some point valuations will start to increase again. Still, that did not happen, which makes them face mounting debt, as expenses continue to accumulate. The news is not too encouraging, and cryptocurrency mining will continue to lose popularity with the current price levels.